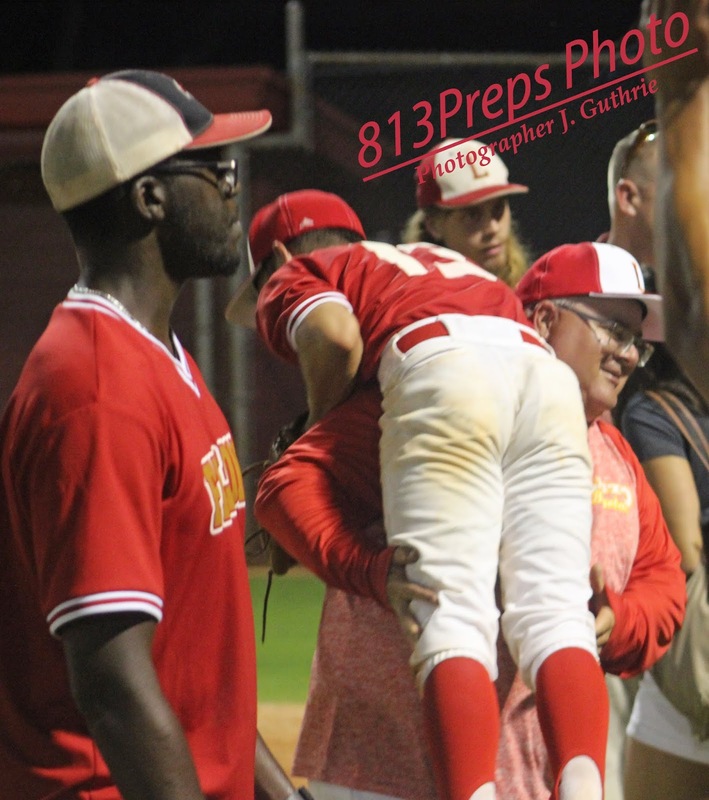 Leto's players celebrate the Class 7A region title after defeating Melbourne 4-0 on Wednesday. 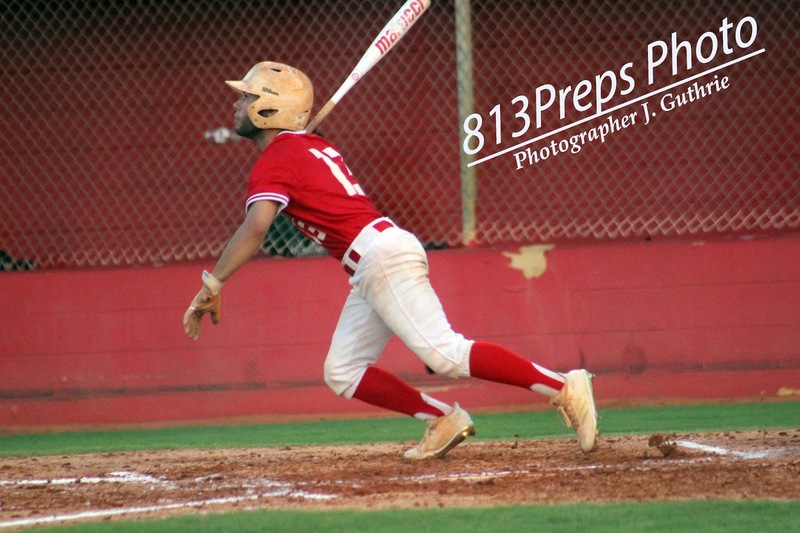 TAMPA – Having a second baseman generously listed at around five-foot tall has been no problem for Leto this season. What senior Jon “Chicalito” Santos lacks in size, he more than makes up for in heart, speed and all the come-through ability of any Falcon on the roster. Wednesday night, Santos’ size also played well for the Falcons 12-year head coach JJ Pizzio, who twirled his two-hole hitter in a helicopter spin after Leto’s 4-0, Class 7A region final win against visiting Melbourne. Jon Santos, who doubled in the game's deciding run. 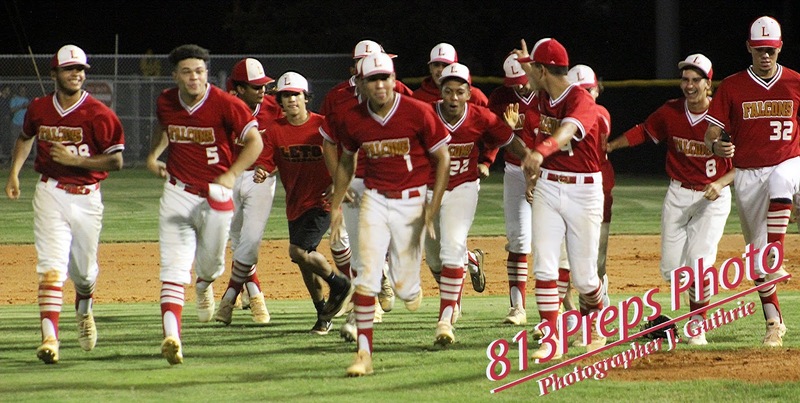 Leto (24-4) advances to next Wednesday’s FHSAA state semifinal game against Pace in Fort Myers – the first time the Falcons have reached that stage since 1970. Falcons senior Jakob Ryley took to the hill against the Bulldogs and early didn’t have his best stuff. The lanky right-hander however, was determined to push through and happily let his defenders back up his efforts in the first few innings. Scoreless early, Leto’s offense gave Ryley the support he needed in the third inning as RJ Gutierrez walked to start the home-half, and Santos stepped to the plate and smacked a double to centerfield to plate the game’s first run. From there, Ryley caught fire scattering just two more hits (three total in the game) in a complete-game shutout, finishing with eight strikeouts. 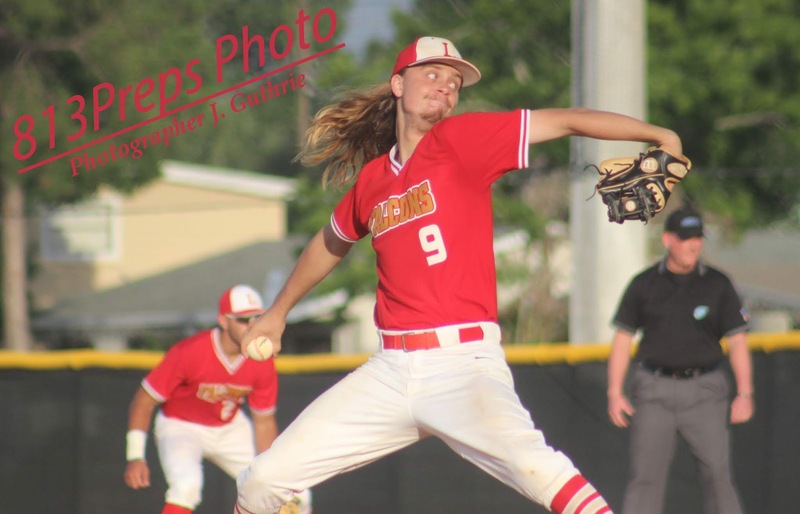 Leto senior Jakob Ryley tossed a complete-game shutout, striking out eight to lead the Falcons to its first state semifinal since 1970. 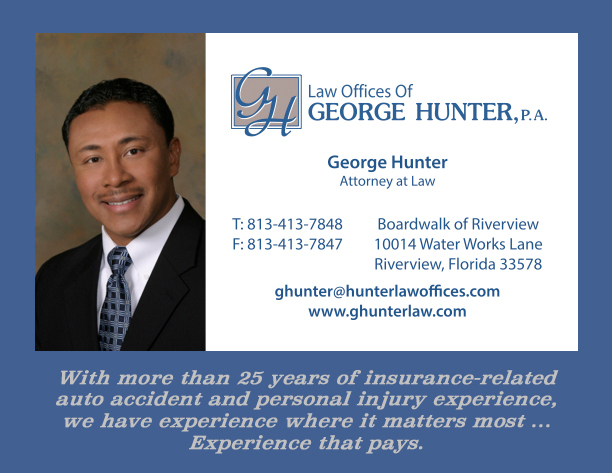 Please visit our sponsors site by clicking on the ad above. They support our efforts to provide coverage of these student-athletes, so we'd appreciate your support of them. 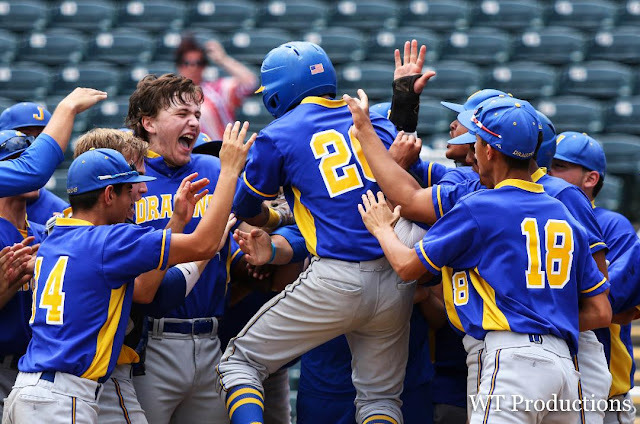 Pizzio said though the team had options on the mound for the start including undefeated junior Christian Suarez who stood ready to enter in relief, Ryley was the right man for this game without question. The move proved to be the right call as Cruz cashed in the run two pitches later and added some insurance to Leto’s lead. 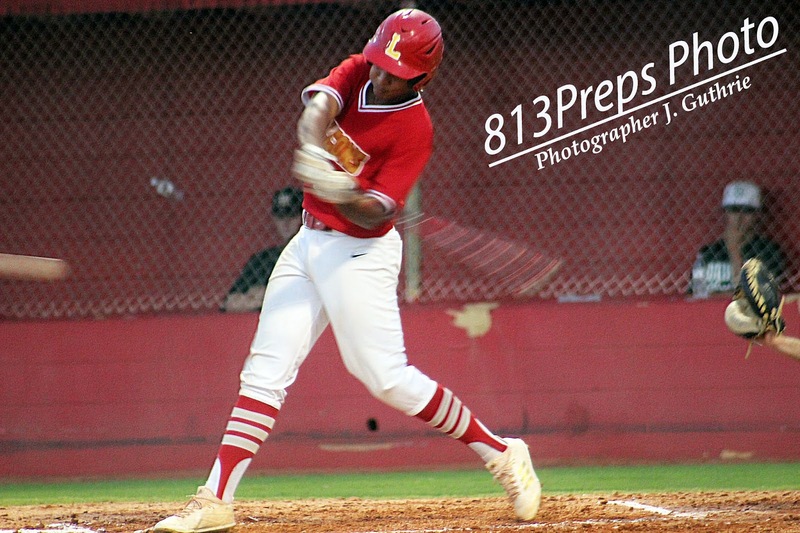 Leto's Joshua Cruz came through with a pair of RBI singles in the Falcons win. Leto added two more in the fifth as Cruz picked up another RBI hit and Abel Diaz (3-for-3 with a double) added an RBI single. Leto's Jon Santos busts out of the box thinking double all the way here in the third inning as the Falcons senior drives in the eventual deciding run.